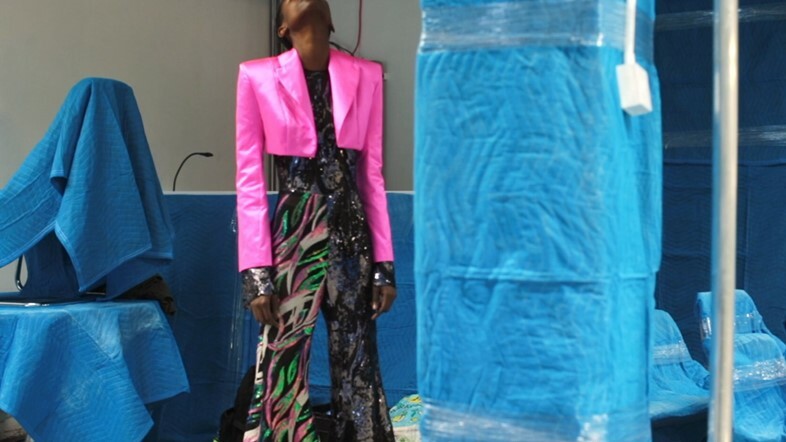 Michael Halpern is the rising designer drawing comparisons with the likes of Bob Mackie. And with good reason, for his work, at first glance, clearly recounts the sequin-encrusted days of disco, Studio 54 and Antonio Lopez. “I’m aware that things can start to look really showgirl really quickly,” he told AnOther’s Olivia Singer of his designs earlier this year. And this creative self awareness has assured his collections, whilst clearly referential, are never merely a pastiche – and feel entirely fresh. A reincarnation of Mackie for a contemporary era, if you will. At this relatively early stage of his career, Halpern has accumulated an impressive list of collaborators; namely, legendary hair stylist Sam McKnight, stylist Patti Wilson and set designer Shona Heath. Halpern also works with Stephen Galloway, the creative movement director who gained recognition during his tenure as principle dancer at the Ballet Frankfurt, going on to become the man behind the choreography for the Rolling Stones and some of Inez and Vinoodh’s most famous fashion campaigns. 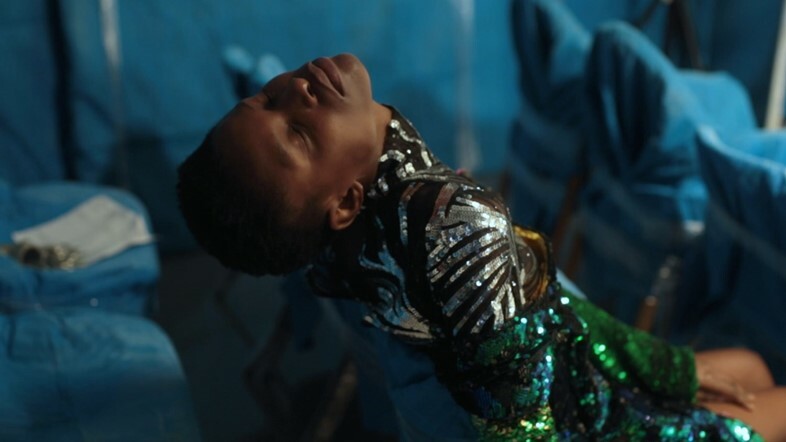 Ahead of Halpern’s A/W17 presentation, Galloway directed a film exploring what it means to fight a daily battle as a young designer in a notoriously tough industry. Here, we exclusively premiere his directorial debut, alongside the two creatives in conversation. Styling by Patti Wilson; Set Design by Shona Heath; Model Barbra-LeeGrant at Storm.